Unfortunately, bushfires are a part of the Australian ecosystem. Animals and plants have adapted to the occasional destruction they cause, and so have a lot of people. But still, all it takes is a little bit of carelessness to create a huge fire that will ravage everything in its way, cause millions in damage and even worse, be the cause for loss of human life. It’s everyone’s responsibility to prepare themselves to reduce, or if possible, stop the fire from spreading. There aren’t a lot of things that the everyday people can do, except prepare themselves the best they can by investing in some fire fighting equipment such as fire fighting pumpsand a fire hoses. You can easily find both a pump and a fire hose for sale online at reasonable prices. After all, no amount of money is too much to help save the environment and human lives. The reason why you should specifically look for a fire fighting pump and a fire hose for sale, is that the normal everyday pumps and hoses don’t have the properties that these do. First and foremost, the amount of pressure isn’t the same. A gardening hose doesn’t have the ability to transfer high pressure water as a fire hose. Next, it isn’t built to withstand toxic spills and chemicals, which are a common occurrence in the fire fighting process. 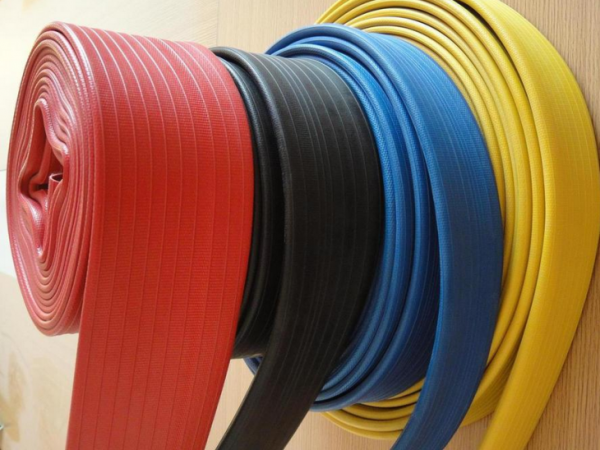 And lastly, these hoses are suitable for low and high pressure liquid transfer in industrial and residential applications, meaning they’re versatile pieces of equipment which aren’t used for fire fighting strictly. I briefly mentioned fire fighting pumps. They outperform other types of pumps, simply because they provide higher PSI, flow rate and maximum head. The amount of PSI that you need for fire fighting is 100 or more. You can calculate the amount of PSI a pump has by finding the maximum head on the list of specs of the pump. The maximum head is the maximum height the pump can pump to. If the pump has 50 maximum head, the flow rate will be zero at 50 metres height. Typically, the more maximum head a pump has, the more it can do in terms of suction uplift + height. For instance, if you need to draw up 10 metres from the source to the pump – move the water from the pump up a gradient of 30 metres. Then you need a fire fighting pump with maximum head greater than 40 metres. You also need to account for loss in head capacity due to small friction. And lastly, fire fighting pumps can transfer anywhere between 200 to 1000 litres of water per minute.